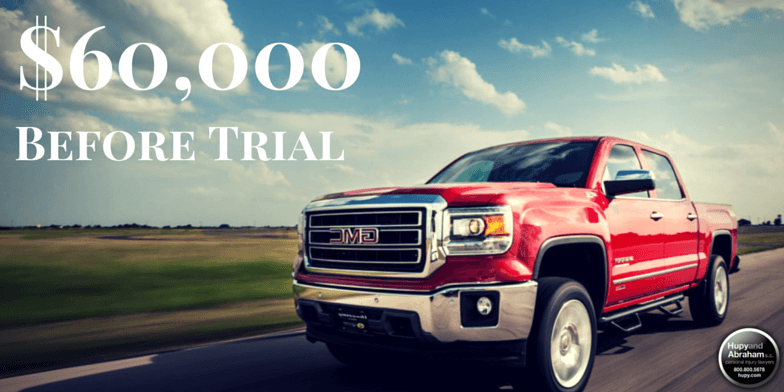 $60,000 Before Trial | Hupy and Abraham, S.C.
On an overcast November day in western Wisconsin, our client was driving his truck when the defendant crossed the centerline, sideswiping our client’s truck and tearing the rear axle from the frame. The client sustained an aggravation of prior neck and back injuries. The insurance company denied the claim, arguing that their insured suffered a medical emergency without forewarning. Following depositions of witnesses and medical experts, Attorney Douglas Ross demonstrated that the defendant had forewarning of his illness and was negligent in driving. The insurance company settled the claim for $60,000 before trial.